Dwight Howard Must Not Be a "Competitor" Right LeBron? Remember LeBron James losing in the Eastern Conference Finals and storming off the court, through the locker room and onto the bus? Oh and then hearing the criticism for not shaking Dwight Howard's hand? And then coming out 5 days later to the media with some BS story about being a "competitor" and not shaking hands? 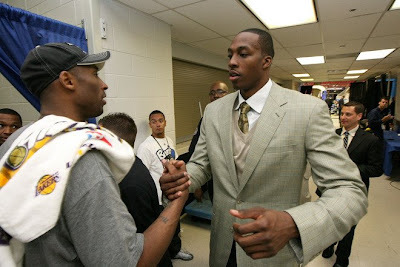 Well Dwight Howard must not be a true "competitor" in the Book of James, but at least we respect him.